On June 17, sailors were jolted awake as seawater surged in after a collision. They had minutes to escape. Seven didn't make it. One of them, Gary Rehm, saved a shipmate before he became trapped. 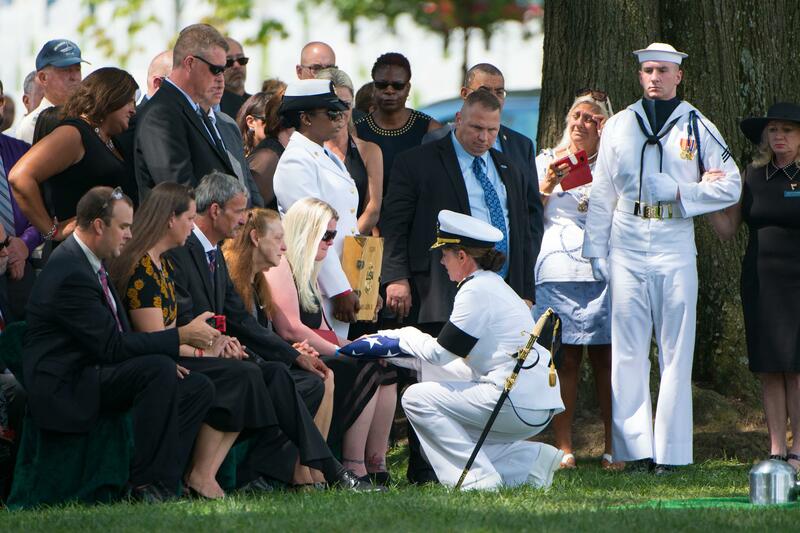 At 1:30 a.m. on June 17, sailors on the USS Fitzgerald were jolted awake in their bunks. Some were thrown to the floor. Their guided missile destroyer had just collided with a cargo ship off the coast of Japan. A gaping hole was gashed into their living quarters, two levels below deck, and they were engulfed in a rush of cold seawater. "It's coming in in torrents. So there's currents and it's beginning to swirl, so mattresses are being picked up, pillows are picked up. Anything that's loose. Tables, chairs are beginning to swirl around," said , a retired who has studied the of the collision.